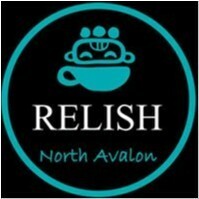 Relish Cafe joined our Mission to help provide access to “Clean Water for All by 2030”. This Mission was initiated by the United Nations. A big thank you to Relish Cafe’s team and customers for joining this extremely important mission on 27 April 2018. "great cafe with a relaxed vibe. ordered the chilli prawn linguini with chorizo and it was insanely good. almost ordered a second serving. will definitely come back again if im in the area"